The Natural History Museum in Kigali is Rwanda’s first and only museum dedicated to the natural sciences. It’s not as impressive as your average natural history museum, but visitors can still learn a lot about the country’s flora and fauna, geology and biological history. Formerly known as the Kandt Residence, it was once the home of German physician and explorer Dr. Richard Kandt. It was Dr. Kandt who founded Kigali around 1908 to be a center of administration for German East Africa. 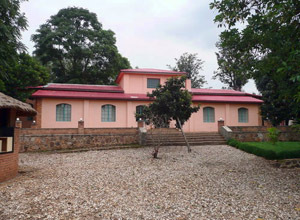 The Institute of National Museums of Rwanda converted the historic residence into a museum in 2008 in order to increase Rwandans’ exposure to the natural sciences as well as to educate visitors from around the world about Rwanda’s biological and geological diversity. Museum hours are Monday through Friday from 9am to 5pm, and you don’t have to worry about any large crowds. Entrance to the museum isn’t cheap for expats: Non-residents have to pay 6,000 francs for entry and those with resident visas must pay 5,000 francs. The museum takes only about an hour or two to walk through, depending on how much you choose (or are able) to stop and read. Unfortunately for us English-only speakers many of the exhibits are in German or French. This detracts from the experience a bit as you may miss out on some of the in-depth information, but for the most part the exhibits are simple enough to understand by sight alone. The north wing of the museum features Rwanda’s biology exhibits. Here you will find beautiful specimens of indigenous species ranging from beautifully colored birds to strange and exotic reptiles. You can also see several of Rwanda’s mammalian occupants, from small rodents you’ve never heard of to skulls of ever popular mountain gorillas. The rear of the museum is dedicated to volcanism – not to be confused with Vulcanism, or the study of space people with pointy ears. Here you will learn about the Great Rift Valley and all its tectonic and volcanic might. You’ll learn how the great volcanoes in Rwanda’s northwest were created, what makes them pop and how people have learned to survive and thrive in their imposing shadows for countless generations. Sadly, however, this exhibit is mostly in German, but you can still learn a lot from the numerous diagrams and visual models displayed. The south wing of the museum is mostly dedicated to Rwanda’s natural resources and the history of how those resources were mined from the countless hills. On display are numerous gems and minerals along with maps showing where they are distributed around the country. Be warned though, most of the signage in this exhibit is in French. There is also a room dedicated to hydrology, or the study of the movement and distribution of water (lakes, rivers, etc). There isn’t really much else to see besides that. The museum is currently working on adding a couple of new exhibits which I believe will really grab visitors’ interest once they are on display. First is a complete skeleton of an African elephant that was recently discovered buried near Nyungwe Rainforest. The second is a massive crocodile that was recently killed at Lake Muhaze – by a man with a hammer I’m told – that will be stuffed and put on display. Both will be welcomed highlights to a museum that lacks any sort of must-see attractions. 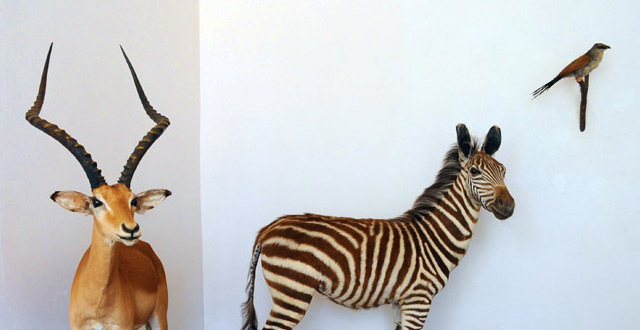 The museum claims that both specimens should be ready for exhibition by the end of the summer, but as things go in Rwanda, I wouldn’t hold my breath. So while the Natural History Museum of Rwanda may be a bit on the small and unimpressive side, it is encouraging to see the country trying to promote interest in science and history. I would encourage anyone who might enjoy a more intimate knowledge of Rwanda, or even those just looking for something to do on a slow day, to pay the Natural History Museum a visit and support one of Kigali’s few cultural institutions. Back in January 2010 I decided to trade the flat wind-swept plains of West Texas for the endless hills of Rwanda...for only six months. 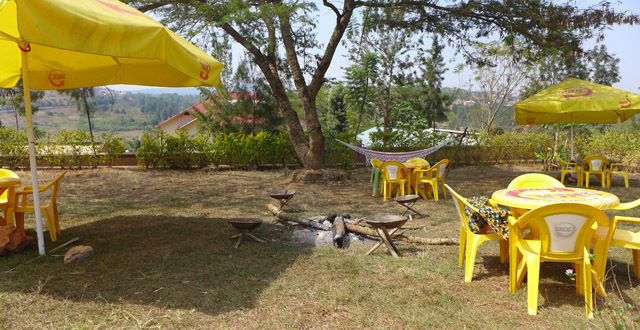 Nearly four years later and I'm still here, running an orphanage on the outskirts of Kigali and sharing my arguably useful collection of knowledge about Rwanda with anyone who will listen, even if they don't necessarily want to hear it. Thank you for the informative and sober info! will definitely take a look at it next time i’m in town. i agree with your view that even though the museum isn’t the greatest (yet), it is well worth to support, especially considering the not really exaggerated amount of museums or scientific or cultural institutions in the country. thanks! Thanks for the great information, explanatory and attractive message to help people knowing where to go and what to find there. By reading you, I was interested to visit the place which I finally did last week. The said up-coming new elements of the museum , the African elephant skeleton and crocodile are exhibited. There is also an exhibition of living reptiles….. somehow scaring but attractive. My dreams is to be a good conservator and am happy to get the information from your museum. I like snakes and other wildlife species coz i did wildlife management. I’ll vist your products. Thanks!